It's the most wonderful time of the year! Time for Holy City Salsa's annual Salsa and Sweets Holiday Showcase held at Ballroom Dance Charleston (2408 Ashley River Road). 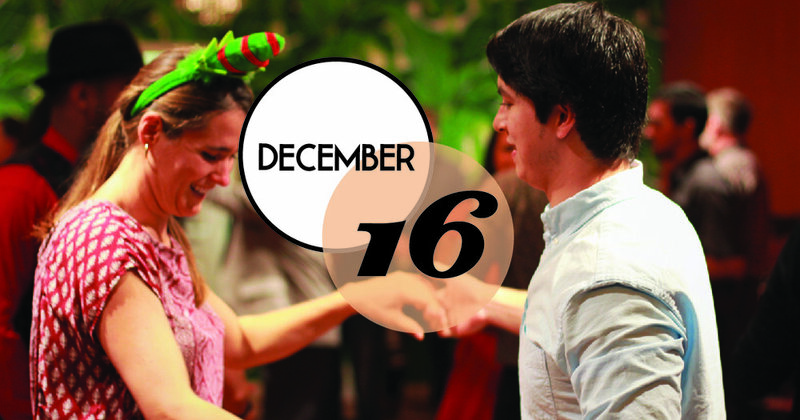 Doors open at 6 pm, intro Salsa lesson at 6:30 pm, showcase featuring Holy City Salsa dancers and friends at 7 pm and open social dancing to a mix of Salsa, Bachata, Cha-Cha and Kizomba until 10:30 pm. Get your tickets HERE. Tickets are $18 in advance, $20 day of and include the lesson, show, refreshments, and social dancing.